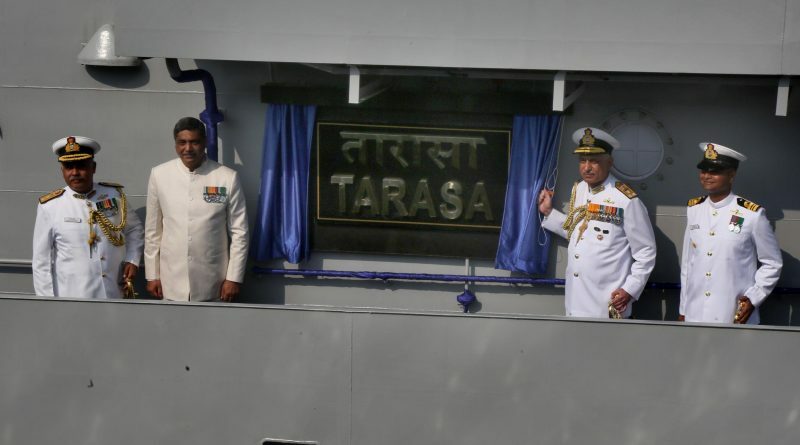 INS Tarasa, a Water Jet Fast Attack Craft was commissioned into the Indian Navy by Vice Admiral Girish Luthra, Flag Officer Commanding-in-Chief, Western Naval Command at the Naval Dockyard, Mumbai on September 25. At an impressive commissioning ceremony, Vice Admiral Luthra expressed confidence that the new INS Tarasa will discharge her duties with élan and resolve, and bring laurels to the Western Naval Command and the Nation. INS Tarasa is the fourth and last of the follow-on Water Jet FAC’s built by the Garden Reach Shipbuilders and Engineers (GRSE), Kolkata. The first two ships of the class i.e. IN ships Tarmugli and Tihayu were commissioned in 2016 and are based at Visakhapatnam; while the third ship INS Tillanchang was commissioned earlier this year at Karwar on 09 March 2017. These ships are an upgrade of the Car Nicobar class Fast Attack Crafts with the Indian Navy, which were also indigenously designed and built by GRSE, Kolkata. 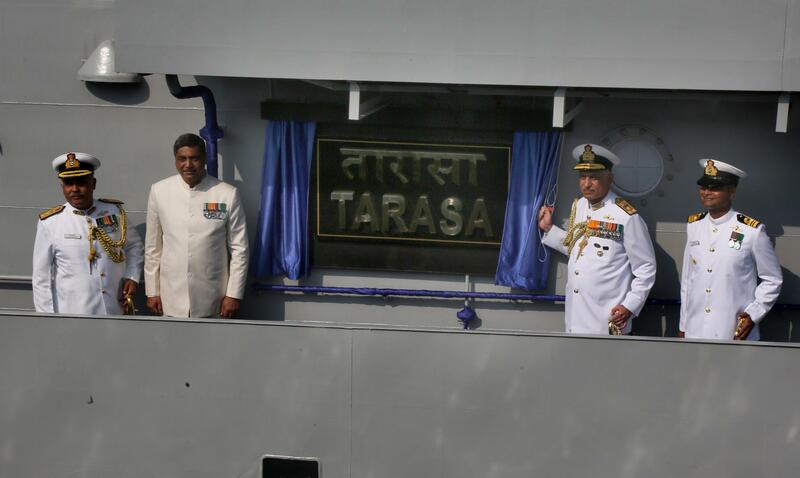 This is the second ship of the Indian Navy to be named INS Tarasa. The first INS Tarasa was in service of the Navy from 1999 to 2014. She was gifted to Seychelles Coast Guard as a symbol of India’s partnership with friendly maritime nation in IOR. 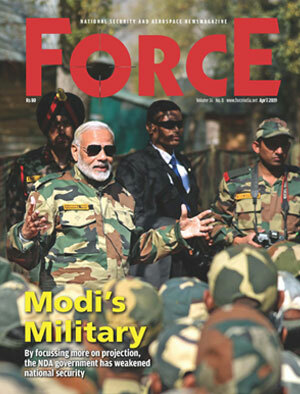 The new INS Tarasa will be based at Mumbai under the operational control of Western Naval Command.